From now on you will no longer know us as Carma Marketing Hub, we are now Symplify. This changes nothing and yet everything. Our goal has always been to make the difficult simple. To make it tangible in a way so that marketers and crm teams feel inspired in their everyday work. 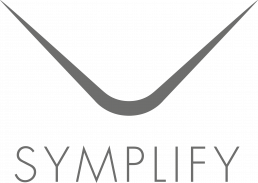 We believe our new name, Symplify, embodies our vision, our platform and our services. Our vision is to simplify creative communication.